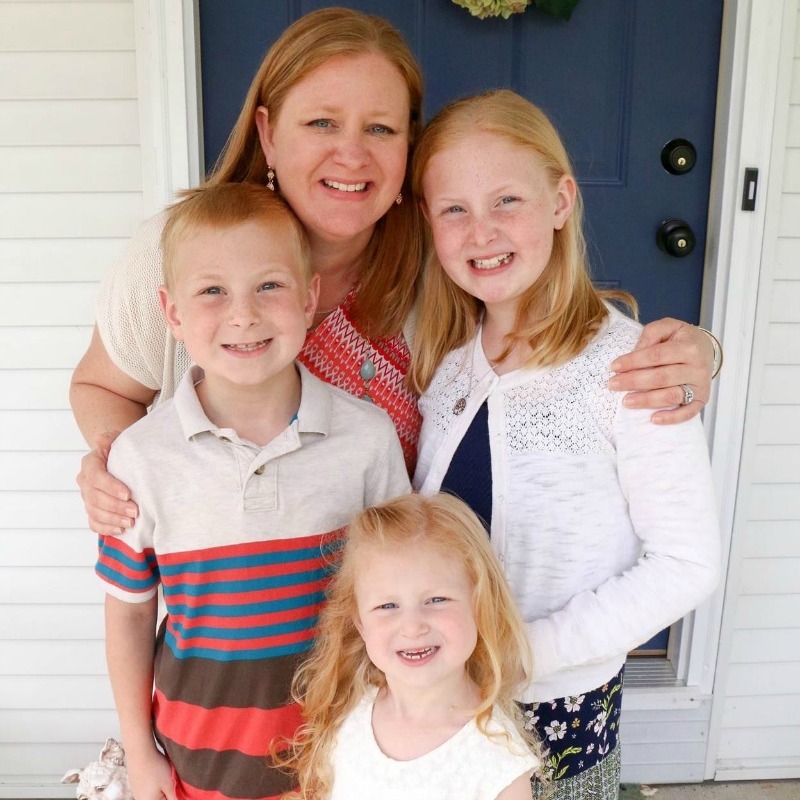 Being a mom is hard – it takes being bold at times. As a mom, we all have to make tough decisions. Nobody told us about the hard things before we have kids. Not only do we have to decide what they wear, eat and drink but we also have to deal with things such as sports, friends, schools and so many other things! Nobody told me that having a daughter meant that I also had to raise her to be her own strong, bold, confident person. Nobody told me how to raise my son to be respectful and kind, yet bold and manly. Of course, I KNEW these things would come, but I didn’t realize just how fast they would get here. They really start so much earlier on! Thank you to J.M Smucker for partnering with us today to bring you this sponsored conversation. 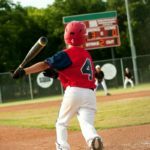 When your child comes home from school crying when they were the one left out on the playground or that the teacher yelled at them for something someone else did – these are all things you have to learn to deal with as they come. Nobody can prepare you for that. Nobody can prepare you for getting your soft, tender, mama heart to be bold and strong when you really just want to cry and run away. That’s not an option. You have to be the one in charge, to teach the life lessons, to teach your children the right way to become an amazing adult that can then make their own bold and strong decisions. Moms need to be recharged and filled up to be able to be good moms who can parent well. We need to have breathing room and white space in our lives. Space just to clear our minds and thoughts and regroup when life is life. I like to get away, whether it’s shopping on my own, a walk to clear my mind or a cup of coffee on the patio. It’s necessary for US to be bold and strong to allow ourselves rest and calm. Sometimes it’s hard to find that quiet time in the day but I’ve found that sometimes it can be found before the day starts. Before the kids are up. Before the dog needs to be taken out. Before the emails are answered. I find that using the early morning hours of the day are the peace and calm I need to be able to be a strong mama the rest of the day. I head to the patio on days that it’s nice out. I grab a cup of coffee, my journal and sit. I sit and drink in the goodness that recharges me. A good cup of coffee is key! 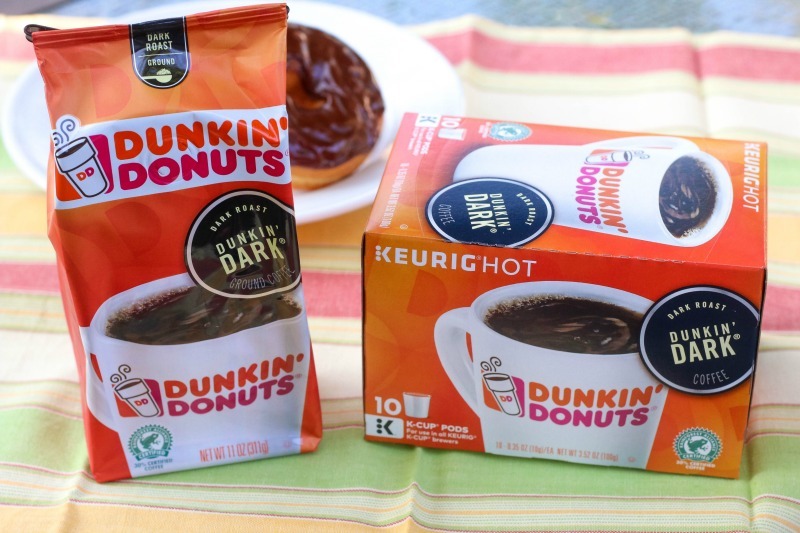 Thankfully, I’m always trying something new and found that the new Dunkin’ Dark® coffee is Brewed for the Bold – coffee lovers who aren’t afraid to take risks and make bold moves. Like us mamas! 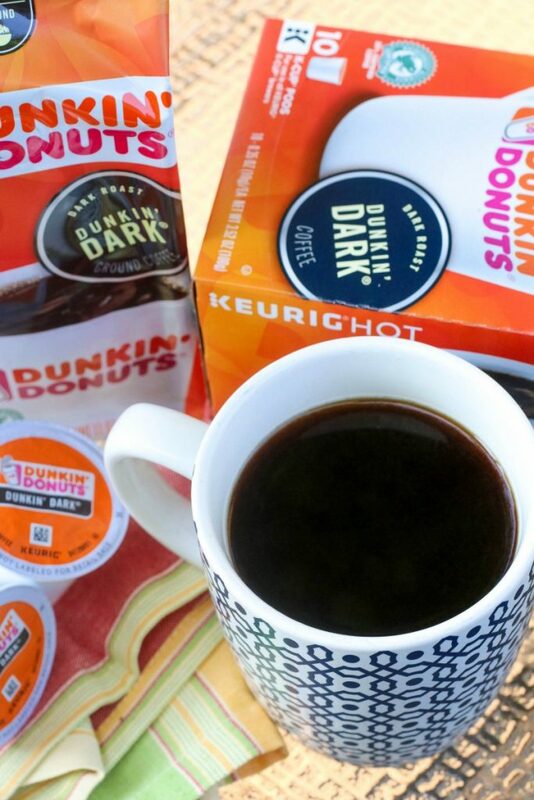 For life’s boldest moments, Dunkin’ Dark® coffee provides coffee lovers with a distinctly bold, yet smooth, never bitter taste to keep you inspired throughout the day. Dunkin’ Dark coffee isn’t bitter but rich and smooth which makes it delicious – especially with a touch of cream. Dunkin’ Dark® coffee also contains 30% Rainforest Alliance Certified™ coffee. The Rainforest Alliance works to conserve natural resources and protects wildlife and the environment. Dunkin’ Donuts® greatly values and invests in the education and training of coffee growers and farmers. The brand is dedicated to helping the Rainforest Alliance reach over 160,000 coffee farmers and to safeguarding the health of more than 2.3 million acres of land. Dunkin’ Donuts® is proud to partner with a bold, adventurous and strong fan of Dunkin’ Dark® coffee, Becky Hammon, the first female full-time assistant coach in the history of men’s professional basketball Check out Becky’s story and how she is bold in her life! 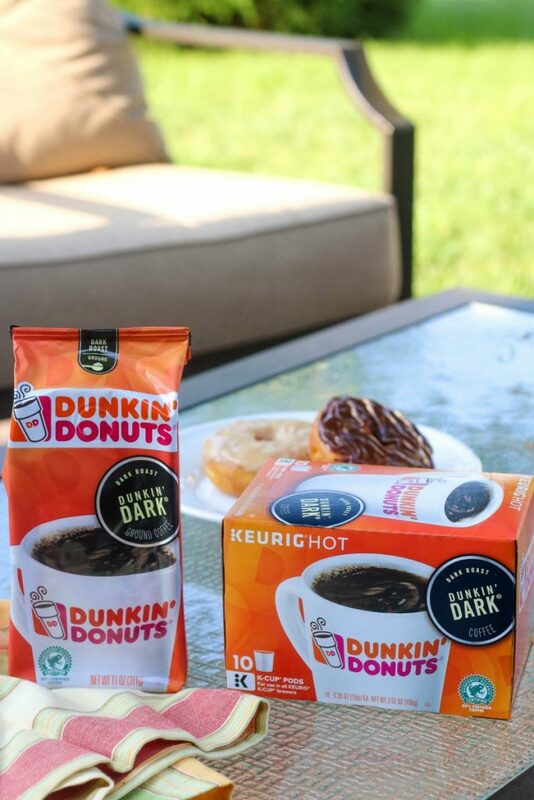 Whether pursuing a lifelong dream, taking some time for yourself or mixing up your daily routine, Dunkin’ Dark® coffee is the perfect bold blend. 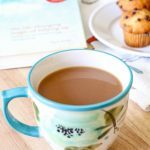 Try a cup when you need a little ME time to recharge and regroup so that you can be the best mama you can be, too! 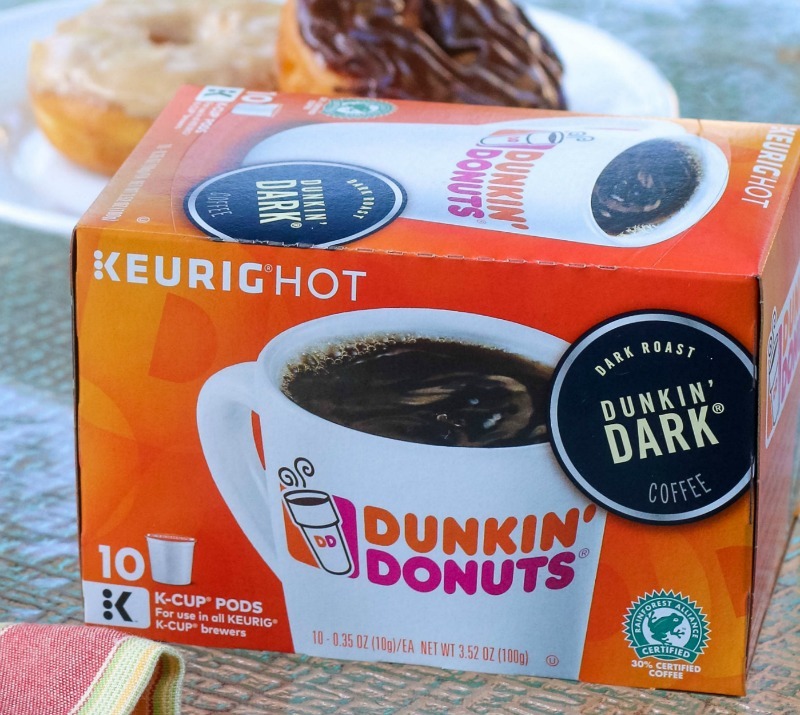 NEW – Dunkin’ Dark® coffee is available beginning July 2016 in grocery stores nationwide in NEW K-Cup® Pods (10-ct or 16-ct) and new packaging for the 11-oz. and 18.4-oz bags of ground coffee. A cup of coffee on the patio is both a lovely way to start the day and the perfect way to refresh in the afternoon! It really is mine, too! !